Nose: Notes of flowers and fresh fruits, spices and light notes of cask. Palate: Fruity and full-bodied, featuring winter spice flavours combined with light hints of caramel and vanilla and a notable fruity taste. Finish: Long and fruity, with hints of spices and oak. Nobushi whiskey is a blended whiskey with great balance and fine velvet textures, surrounded and represented by a resplendent golden-amber colour. 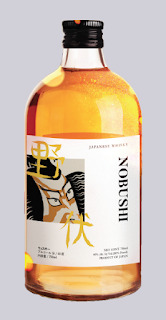 It is a blended whiskey made from a combination of whiskeys from the Miyagi and Nagano prefectures. These spirits are later mixed and aged for 3 to 4 years in American oak casks.